How can you harness feelings like anger, sadness, and fear so they change your life for the better? What are their proper functions according to Scripture? How can you transform them from relationship-disrupters and joy-stealers into allies and bring harmony to your soul? 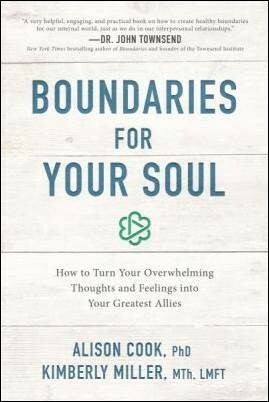 Bible Gateway interviewed Alison Cook and Kim Miller (@KJ__Miller) about their book, Boundaries for Your Soul: How to Turn Your Overwhelming Thoughts and Feelings into Your Greatest Allies (Thomas Nelson, 2018). What does it mean to set boundaries in your soul? Alison Cook and Kim Miller: Most people struggle with overwhelming thoughts and feelings from time to time. And often our internal chaos causes us to hurt others. As James said, we can be “double-minded” (James 1:8). We might find ourselves praying one minute and saying a hurtful word the next. Developing healthy internal boundaries involves getting to know and caring for the parts of your soul—even those parts you find most challenging. It’s a path to becoming more whole. As counselors, we’ve noticed that people have two opposite, unhealthy ways of relating to painful emotions. They either keep them too close or they try to push them too far away. When we’re too close to our emotions, we become overwhelmed and can’t think straight. But if we’re too far from our emotions, we risk being cut off from important aspects of who we are. When you set boundaries internally, you’re creating healthy distance from challenging thoughts and feelings so that you can lead them well. You’re honing your capacity to understand and care for your sometimes-chaotic inner world. Why are internal boundaries important? Alison Cook and Kim Miller: King David prayed for an “undivided heart” (Psalm 86:11). Developing healthy internal boundaries helps you unite the many facets of your soul in partnership with the Holy Spirit. When you’re strong inside, you’re able to respond with more resilience to life’s challenges. You become true to the person God created you to be and to the work he has planned for you to do. You become the same person on the inside as you are on the outside. You get more realistic about your limitations and have a clear sense of your own values, vision, mission, and priorities. And you also begin to understand that the health of your relationships and the sustainability of your service depend on your ability to understand and care for the various aspects of your soul. Define the human soul (is it different from spirit?) and tell why boundaries need to be applied to it. Alison Cook and Kim Miller: The human soul (in Greek, psyche) is all that is rational and incorporeal. By contrast, the human spirit (in Greek, pneuma) literally means breath, suggesting life or vitality—more than mind (that is, soul). Because God is the source of life, there’s some association with spirit and Spirit. But often the words soul and spirit are used interchangeably to mean all of the non-physical elements of a person. Think of your soul as having many parts and the Holy Spirit-led self in the middle. Your soul needs boundaries because sometimes parts of your soul can overwhelm you. Or conversely, you can push parts of yourself aside. In either case—whether parts of you are too close or too far from your Spirit-led self—your soul doesn’t thrive and flourish as it could. What are boundaries and how can they be “too close” or “too far” and how can they be “just right”? Either extreme robs you of confidence, peace, and joy, and negatively impacts your relationships with others. When you’re at a comfortable distance from your challenging thoughts and feelings, though, you gain perspective. You can lead them from the place inside of you where the Holy Spirit dwells. What do you mean by “take a You-Turn”? 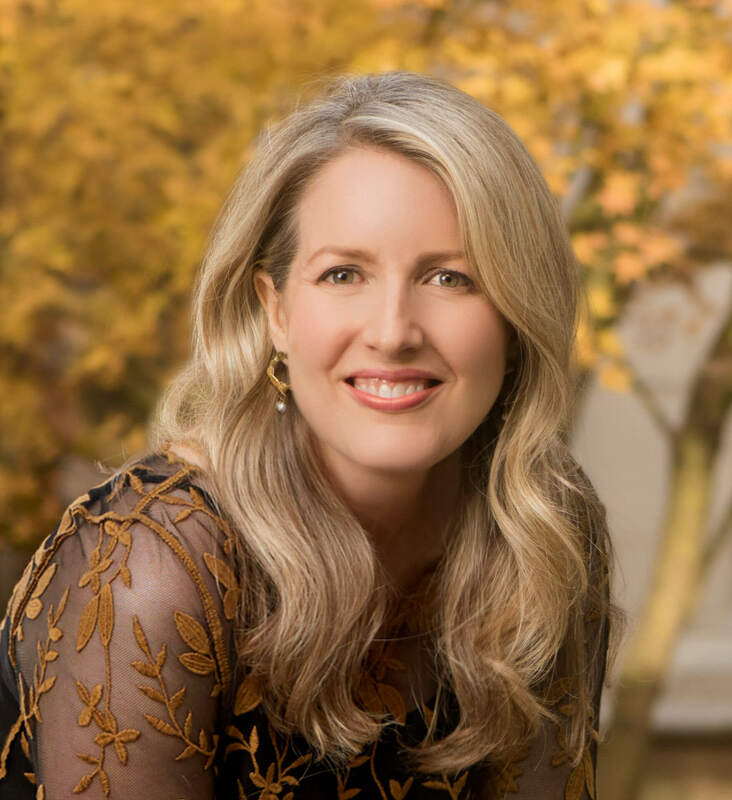 Alison Cook and Kim Miller: Most clients come to us initially with the desire to talk about someone else—their spouse, boss, child, friend, and so on. When we’re struggling, the natural response is to accuse the other. But Jesus challenges us to work on our own personal growth: “First take the plank out of your own eye, and then you will see clearly to remove the speck from your brother’s eye” (Matt. 7:5). So when you’re experiencing internal unrest or painful emotions, we suggest taking a You-Turn. Instead of focusing on another person, or a situation that may have conjured up uncomfortable emotions, look inside your soul to understand better your own reaction. To take a You-turn, you focus on your painful emotion, befriend it, and invite Jesus to be near—then unburden it and integrate it with the other parts of your soul. This Five Step process helps you know more clearly how to act well in your external circumstances. How does the work of the Holy Spirit factor in to Christians setting boundaries for their souls? Many psychologists and spiritual leaders have explored this idea of what we’re calling the Spirit-led self. For example, Henri Nouwen describes that place in your soul where you have clear perspective; where you can gather together your thoughts and desires and “hold them together in truth.” And psychologists Henry Cloud and John Townsend refer to a “space inside” where you can experience your feelings without fear of judgment—a place where these parts of your soul can receive the attention they need so you don’t act in hurtful ways. From this place, you can draw a troubling emotion in closer or ask it to step back, and develop perspective. You can invite Jesus to be with the parts of you most in need of his presence. Your Spirit-led self can minister to the parts of you with burdensome thoughts and feelings, so that you are witnessed and transformed. What are the “three parts of you” you write about? Alison Cook and Kim Miller: There isn’t one correct way of conceptualizing the soul, but it’s helpful to have some map, or framework, for understanding it, so that you can care for it. One framework we’ve found helpful is called the Internal Family Systems model, and it suggests thinking of the soul as having three types of parts, in addition to what we call the Spirit-led self. According to this model, the three parts of the soul are called managers and firefighters (which are both protectors) and exiles. Protectors are the parts of your soul that work to keep you from experiencing pain. Exiles are the vulnerable parts of your soul you’d rather others not know about. Managers are the protectors that strive to keep you emotionally safe and prevent the more vulnerable parts of you from experiencing harm. They work vigilantly to keep life smooth and predictable. They dutifully get you out of bed in the morning, and in the evening they worry about what didn’t get done. They drive you to perform, produce, protect, and please. Firefighters, on the other hand, try to extinguish pain after it occurs. These impulsive parts indulge in a lot of whatever feels good, distracting you and tricking you into believing you’re handling life well. Lastly, exiles are the distressed parts of your soul that your managers and firefighters are trying to protect. They tend to harbor the pain, shame, fear, loneliness, and insecurities you’d rather not face. How does a person know when and what boundaries need to be established in their soul? feeling critical of yourself or others. getting angry and saying hurtful things. struggling to make decisions due to worry and fear. feeling compelled to make something perfect. sensing an urgency to fix yourself, or something in your life, right away. feeling like a victim of your circumstances. staying in bed too long. feeling worthless and flooded with shame. How does setting boundaries in your soul further the kingdom of God? Alison Cook and Kim Miller: When you’re broken, you experience conflict and chaos. But reconciling your inner world involves restoring harmony and leads to contentment. Toward the end of his life, Paul wrote even while sitting chained up in a jail cell, “I have learned the secret of being content in any and every situation” (Phil. 4:12). The English word content comes from the Latin word contentus, combining the words held and together. Being content implies an experience of being held together, contained, and well ordered internally, regardless of your external circumstances. This sense of contentment and integrity empowers you to care well for others. As you gain a greater sense of internal order, you become free to focus on your God-given purpose in the world. Alison Cook and Kim Miller: One verse we love is: “The one who gains wisdom loves his soul” (Proverbs 19:8). This verse conveys that we all have a relationship with ourselves. And the Bible tells us here to extend ourselves compassion. Alison Cook and Kim Miller: We love Bible Gateway and use it frequently. 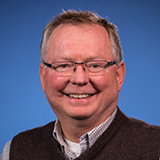 Throughout the process of writing our book, we often used the website to search for passages, check references for substantive commentary, and compare and contrast various translations of the Bible. We don’t know what we’d do without Bible Gateway! Thank you! Boundaries for Your Soul is published by HarperCollins Christian Publishing, Inc., the parent company of Bible Gateway. Bio: Alison K. Cook is a counselor who specializes in the integration of spiritual formation and psychology. 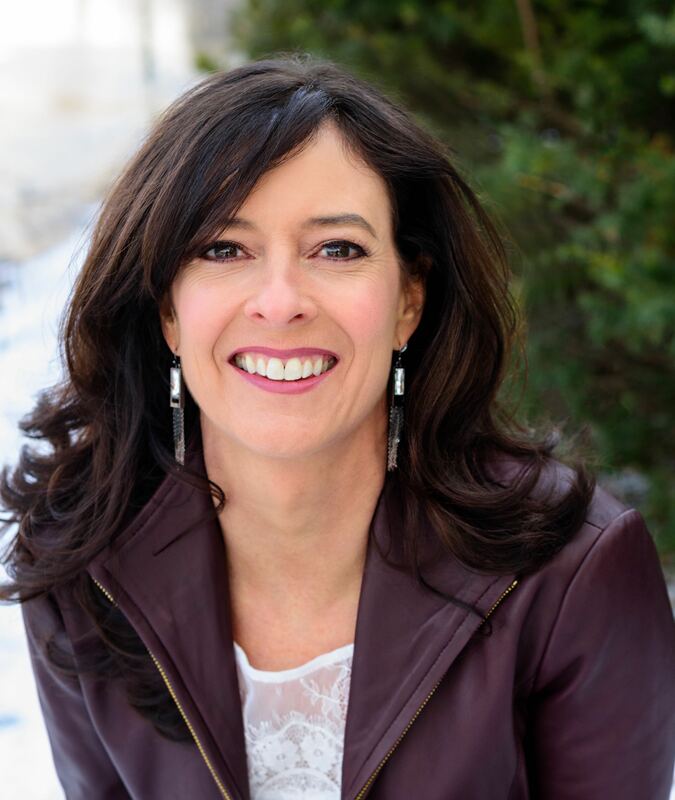 She holds an MA in counseling from Denver Seminary and a PhD in religion and psychology from the University of Denver. She and her family live in Boston, Massachusetts. Sign up to receive Alison Cook’s free email newsletter: alisoncookphd.com/blog. Kimberly J. Miller is a Licensed Marriage and Family Therapist who earned a master’s degree in theology from Regent College and an MA in clinical psychology from Azusa Pacific University. She and her husband, Ken, live in Southern California. Sign up to receive Kimberly Miller’s free email newsletter: kimberlyjunemiller.com.